Might 20,000 New Jersey DWI Cases Be Thrown Out? More than 20,000 New Jersey motorists charged with driving while intoxicated (DWI) recently received a surprising letter from the office prosecuting their cases. Current and former defendants in Middlesex, Monmouth, Ocean, Somerset and Union counties have been told that doubts now exist regarding the reliability of the breath tests used against them. The problem arises from a case involving State Police Sergeant Marc Dennis, a former coordinator in the Alcohol Drug Testing Unit. Special Master appointed — Retired judge Joseph Lisa has been appointed a Special Master by the New Jersey Supreme Court to review the credibility of evidence taken from the affected devices. Response from Division of Criminal Justice — In an effort to uphold the evidence used in these matters, the Division of Criminal Justice asserts that the task that Mr. Dennis reportedly failed to perform, while legally required, does not affect the scientific reliability of test results. Charges against Dennis — Mr. Dennis is accused of falsifying records in which he stated that he calibrated the machines correctly. He denies the charges against him that allege he neglected to follow proper procedure on three machines. This purported dereliction of duty might raise questions about all of the tests in which he played a role. Though the errors are usually not on this massive scale, this case demonstrates how easily a motorist can be prejudiced by a faulty breath test. That’s why every accused driver should consult with an accomplished DWI defense attorney even when their blood-alcohol reading exceeds the .08 percent limit. A knowledgeable advocate can spot the serious flaws that occur in testing and throughout the DWI enforcement process. When a slight deviation in results can change your life, you deserve an attorney with a strong track record in this area. 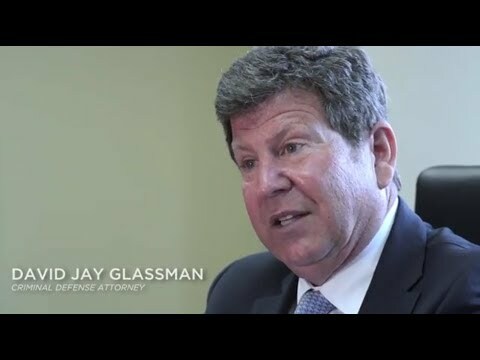 The Law Office of David Jay Glassman advocates for New Jersey motorists accused of driving while intoxicated and other criminal litigation defendants. Please call 866-221-1270 or contact us online to schedule a free initial consultation at one of our four locations. We have offices in Marlton, New Brunswick, Newark and Hackensack.